Social skills games are great for helping kids develop valuable social emotional skills. Many of us that work with children accept that play is the language of kids. When you can make a lesson fun it’s easy to keep kids engaged. For this reason, I choose to teach social skills with the following social skills games. 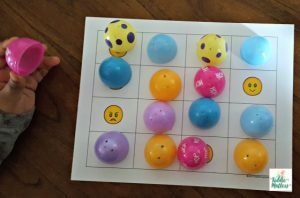 Children love these social skills games because they are simple and fun. These games teach kids a variety of social emotional skills such as making and keeping friends, communicating with others, showing empathy, and more. According to CASEL (Collaborative for Academic Social and Emotional Learning), social-emotional skills are the skills that help us “communicate and interact with each other, understand and manage our emotions, set and achieve positive goals, feel and show empathy for others, establish and maintain positive relationships, and make responsible decisions.” These are all skills children will continue to need even as they transition into adulthood. Here are some social skills games that can be used with elementary school aged kids. 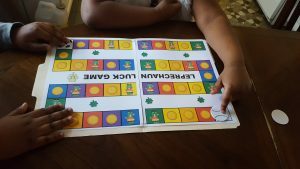 These social skills games give children an opportunity to learn and practice emotion self-regulation, making friends, cooperating with others, feelings identification, and negotiating conflicts. 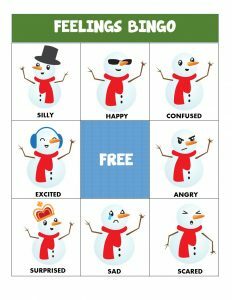 These winter themed social skills games include feelings bingo, feelings charades, feelings puzzle, social skills file folder game with social situations to help kids explore different social scenarios, positive behavior sort cards, and more! 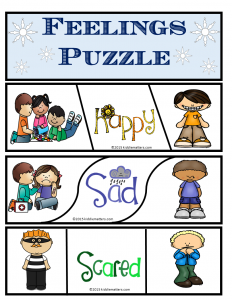 The games in this Winter Themed Social Skills Games are designed to help kids learn appropriate ways to interact with others, practice self-reflection, and also to be able to identify their feelings. 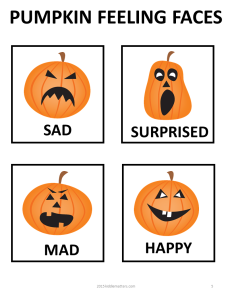 Young kids love these pumpkin feeling faces. They can be used to play feelings match and feelings role play. 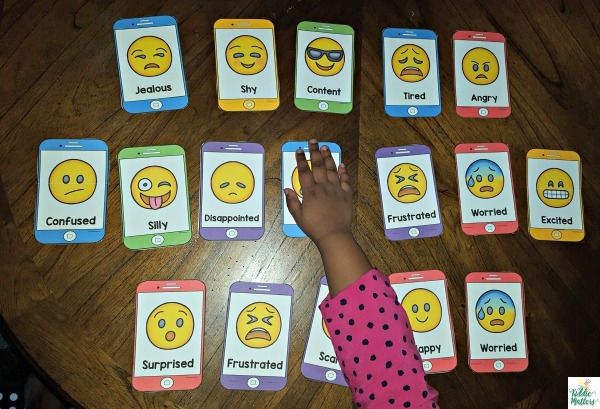 The feelings cards can also be used to get children to talk about how they experience each emotion on the feelings card. 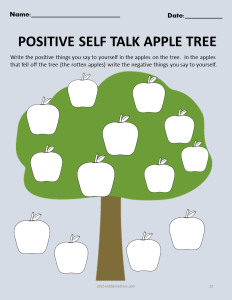 The positive self talk apple tree helps kids practice talking to themselves in a positive way. This social skills games bundle also includes making friends, coping skills, and decision making activities. Valentine’s Day is a wonderful time to discuss the importance of friendship. The activities in this bundle teach kids about giving compliments and identifying coping strategies to use when they are upset. 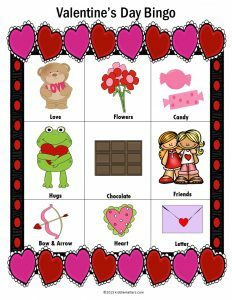 Kids also practice taking turns and following directions, and using listening skills with these Valentine’s Day Social Skills Games. In the Leprechaun Luck game kids learn how to behave in socially acceptable ways in different scenarios. 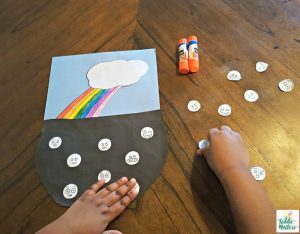 The Pot ‘O’ Feelings activity gives younger kids a chance to work on feelings identification. 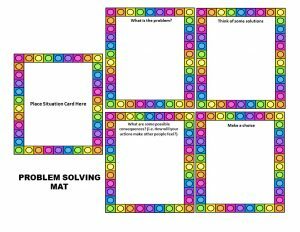 Upper elementary and middle school aged kids are able to learn and practice problem solving skills with the problem solving activity included in this March Social Skills Games Bundle. These activities are egg-cellent because kids get to make good use of plastic Easter eggs to complete them. Who knew plastic Easter eggs could be used for more than an Easter egg hunt! Check out all the ways you can use them below. The feelings memory game is played like the classic Memory game. Kids learn to recognize and identify feelings in this game where they search for matching emoji faces. Most children are natural born givers and enjoy doing nice things for others. However, research shows that around age eight and nine, children are socialized to think more about themselves and less about others. The good news is that there are strategies children can learn to help them more likely to be kind. In this Kindness Explorer Game kids learn about the importance of being kind and discuss different random acts of kindness they can do for others. According to recent research, gratitude helps people form, maintain, and strengthen supportive relationships. Research findings suggest that grateful kids are happy, optimistic, have significant social support and strong relationships with people in their family, school, and community at large. Gratitude is an important social skill for children to learn because it teaches them how to interact with others in a positive way. In this Gratitude Journal and Game children practice self reflection and explore different ways they can express gratitude in their lives. These emoji cards can be used to play a variety of social skills games such as Feelings Charades. Students choose a feelings emoji cards and acts it out while others try and guess what emotion the person is acting out. Research findings suggest that playing charades help children learn and practice perspective taking. 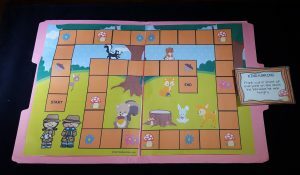 Additionally, this game allows children to interpret and use non-verbal communication techniques. What an important selection of resources to help children understand social emotions. It can be hard to understand at that age that is for sure! These are awesome!! I can’t wait to print them out to my kids. Two kids in pre-k so learning social emotional skills is their job right now! Thanks for sharing! awwww this is an awesome way to help kids express their emotions! Love the worksheets too, really helps having something to print out and use. I absolutely love this post! My middle son has autism, and I would love to use these activities with him! Thanks Kaylene! I really hope they are helpful! I can see where these would be very helpful for children having a hard time adjusting to new peer groups. 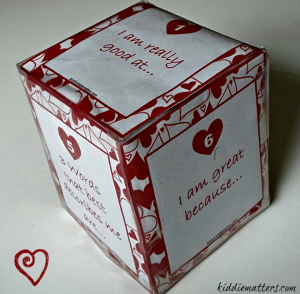 Of course, I know some adults that might benefit from the Positive Self-Talk Sheild, too! What a great way for children to express themselves. Adults should use this method. I absolutely love this! I think it is so important to teach little ones this way. I love the compliment hearts. That would be fun to do. 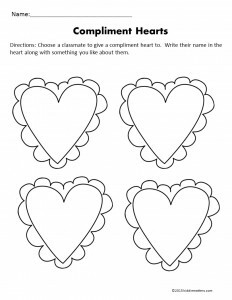 What a great way for kids to share their emotions. What a great resource. Great ways of teaching kids how to deal with their emotions. 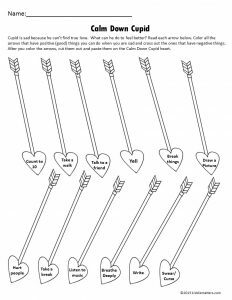 The valentine’s worksheet is an easy way to incorporate this kind of learning into the holidays. There are days when I need a positive self-talk shield. Great ideas for getting kids to grow emotionally, especially in social situations. I love this! They did something like that at school with all the kids and it was wonderful! Such an important aspect of learning but sadly often overlooked. It’s not on the state test. Ugh. What a cute learning tool. This is a great way to teach kids about emotions. Both of these printables are very nice. I don’t have kids but I will have to remember this down the road a bit! These are really good activities! Emotional learning is such an important part of child development, I wish there was a greater focus on it in schools! Oh I love this! I have had to remind myself to be positive with my own self-talk around my kids, they pick up on everything. This will be a fun activity to work on for our homeschool. 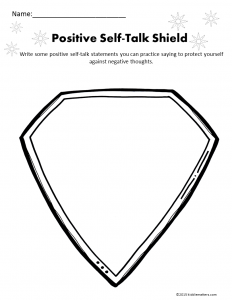 I like the idea of thinking of positive thoughts being a shield. I know my five year old has a couple of children in his class that tend to be negative and it brings him down. I think reframing how my son thinks of himself may help. Thank you! What a great project for kids. My sister is a preschool teacher, I am going to show her this idea. 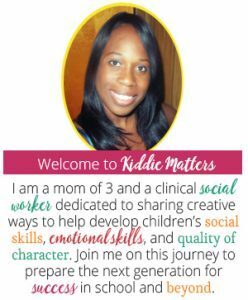 I enjoy parenting blogs because gives me such great ideas to implement. Beautifully blogged! These are great tools for kids. My 2 year old is already telling me when he is happy or sad. Its amazing how young they learn how to express this! Nothing wrong with that. It just shows you are raising an emotionally intelligent kid! !